Nourishing and highly-effective prescriptive treatments for beautiful, natural nails. Long-wearing vitamin enriched colour for maximum conditioning and UVA/UVB filters to prevent fading. 7-free and cruelty free. 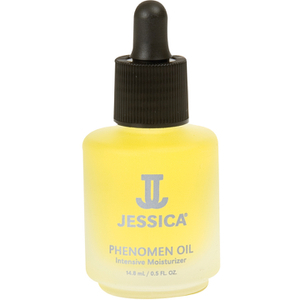 Fast-drying formula that provides a gel-like shine without the need for a UV or LED lamp. 7free and cruelty free. In 1969, Jessica opened the first-ever nails-only salon in Beverly Hills and revolutionised nail care. Setting the standard in natural nail care, Jessica is considered the foremost authority on cultivating beautiful natural nails. Combining a passion for natural nail care with the latest in technology, Jessica’s award winning system offers a solution for every nail type, lifestyle and colour preference. A polish with a difference, the Jessica Nails range at Lookfantastic not only provides you with a beautiful array of colours and shades to choose from but uses a philosophy of healthy nails to ensure that under each painted finger there is a healthy nail.